The last I made Etouffee, it was a bust! I have a wonderful recipe handed down to me, from my husband’s grandmother. It’s so yummy… Well, when I was handed this recipe, I made a big stink to have lots of people over for a big pot of it. I made the etoufee and it looked like the best thing in the world. It did however smell a little funny when I took the lid off the pot. I just thought that maybe it was the seafood smell that you get sometimes. I didn’t pay much attention to it. I called my husband in to have a taste with me, and we each gave ourselves a nice big spoonful. Well, once that etoufee reached our mouths, we realized that it was AWFUL!! The craw fish were no good! It was by far the grossest stuff I have ever put in my body.. I couldn’t serve it .My dad was trying to tell me that it wasn’t bad at all and that it was just me. However he would not eat any of it. I cried as I dumped the whole pot of stinky etoufee down the drain. I haven’t made it since, and that was over 2 years ago.. However looking at this recipe has inspired me to try it again. Hopefully I’ll be a little smarter when picking out my crawfish in the future!! Sorry for the long babble!! Damn Sam, that EtouffÃ©e sure looks good. Man If you could get food that good in New Orleans anymore, there’d be not shortage of tourists. I love your photography my friend. Arthur – Thank you. It’s sad that restaurants have lost the touch, but I guess home is always where the traditions are preserved best. Laurie – Sorry to do that to you, probably at work and hungry. I smelled a bad Dungeness Crab one time at a restaurant I worked at and have never looked at one again without thinking of that smell. I guess we need to remind ourselves why it was good in the first place. Tim – Thanks man, I agree with you and Arthur that the Etouffee in restaurants is extremely sketchy these days, sad. I’m really not a good photographer, I just like taking pictures of food. 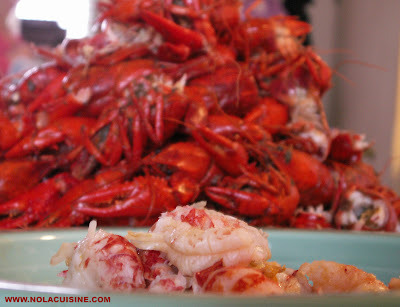 I just made your crawdad etouffee recipe with a little extra ingredients and was absolutly fantastic. Thank you for the great start and can’t wait to use more of your true Naw’lins cooking. I miss home. I found your website by chance today while looking for an etoufe recipe. WOW! I will be using this recipe from now on. 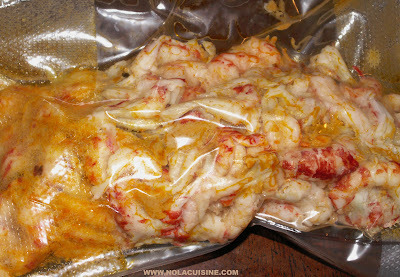 I grew up on real cajun food and absolutely love your etoufe. I also made the cajun seasoning you have on hear and again WOW! This site is now bookmarked, I think we will try the chicken and sausage gumbo tomorrow. Thanks for sharing. Oh my 7 yr old loved it also and he is the most picky eater I know. Just made this for dinner – hubby works in Louisiana on an anchor handling supply boat in the Gulf of Mexico – and has native Cajuns to cook for him while he’s there. He wanted Crawfish Etouffee at home and I love a challenge, so I made your version after looking over quite a few. What a fabulous dinner!!! I’m currently printing out more of your recipes to keep my newly ‘Cajunized’ hubby happy! Well, and to be honest – I do love the spicy! Thanks for all the wonderful directions and the perfefct recipe! Keep up the good work!! should be added closer to the end of the simmer, about 10 minutes before? they will have a “rubbery” texture. Love this recipe! Thank you so much!!! I’ve made it three times with varying degrees of hotness! We don’t have much availability for crawfish in my area, so I’ve used langostino tails from Trader Joe’s. Our entire family just loves it, my 3 and 5 year olds, included! I love the foods of New Orleans! It is true American cuisine. I make Gumbo often ( as wellas BBQ shrimp and etoufee). 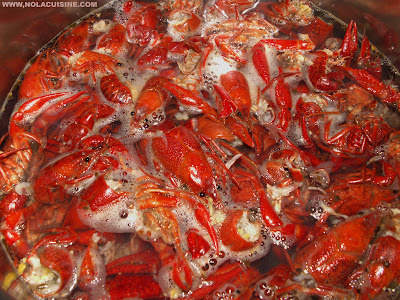 I like to buy the crawfish whole so I can make the stock from the shells. This recipe looks amazing! I love the Cajun flavors of Louisiana. We are big fans of your site here at How2Heoes. I’ve been using this blog for a while. Super insight, mostly sort of follow. Picked up 4 lbs of live crawfish today, doing mostly this etouffee. Smells awesome, about to eat. 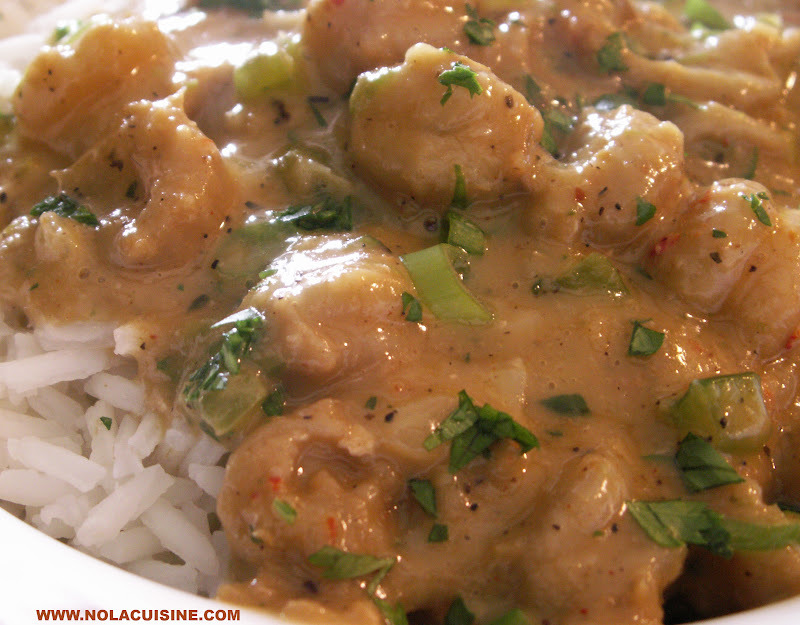 My mother (a native of New Orleans), made the best Etouffee with chicken. Sometimes she would add shrimp and or Andouille sausage. All you had to do was sit down and eat it. You did not have to add anything, no hot sauce, salt, or anything Lol! Delicious!! Can this recipe be substituted with chicken? Thanks afor a great reminder of my childhood eating! This is an amazing recipe! The only thing I did different was use shrimp instead of crawfish since I couldn’t find it. Will make it again the authentic way! Please keep sharing! Wow. I’ve been using your recipes for a few years now, and the recipes (when followed faithfully) damn-near killed me. This etouffee is my favorite. I’m looking forward to trying the roast beef po’ boy and muffuletta, though I’m nervous about baking the bread. Still, I have no doubt you’ve steered me in the right direction. Thanks tons for showing us out-of-towners a way to enjoy the flavors of N’awlins at home. This was the third recipe that I have tried in my attempt to quench my etouffee craving. I have no need to look any further. This is the best by far.